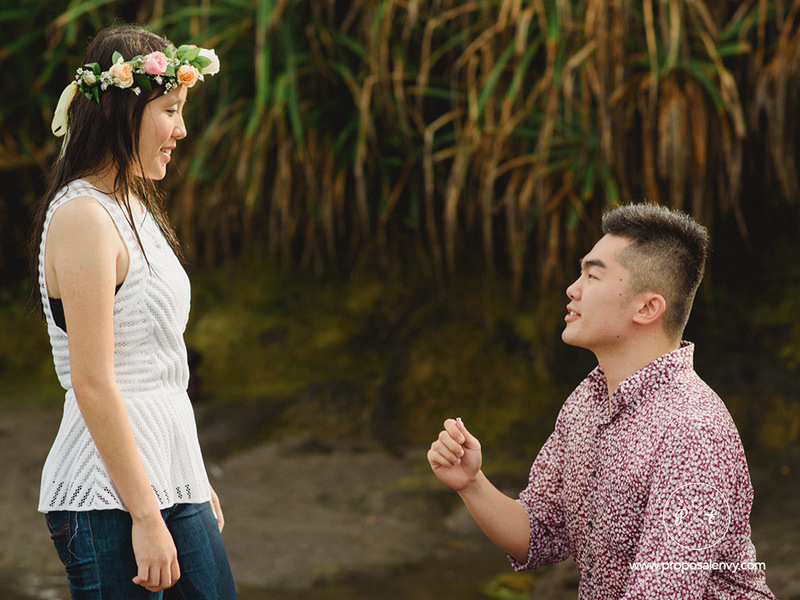 Clifton and Vania met each while pursuing their degrees abroad, and not so long after they began seeing each other. 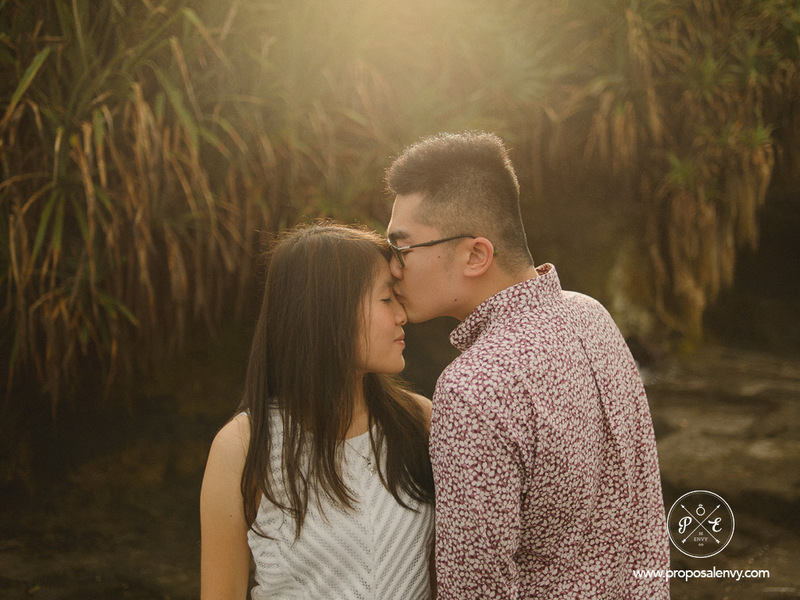 As fate would have it their love lasted and their relationship held on even after going back to each other’s hometown. 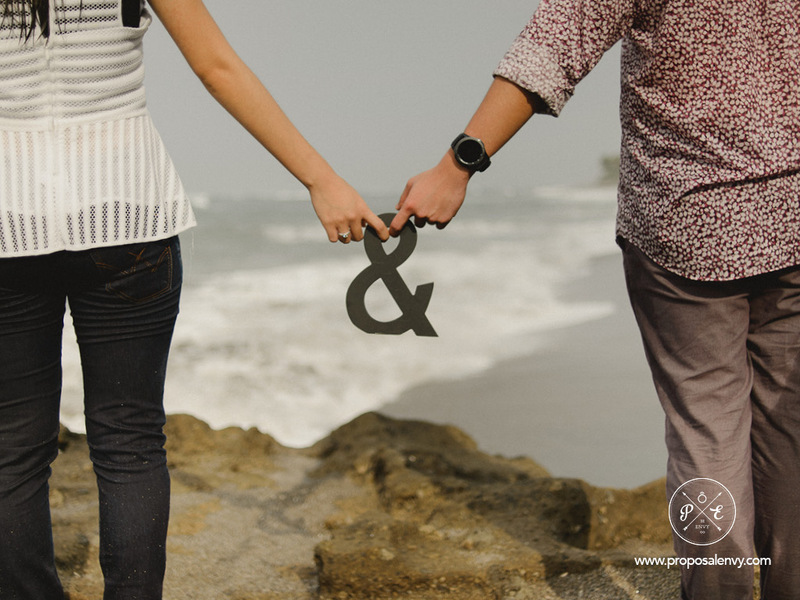 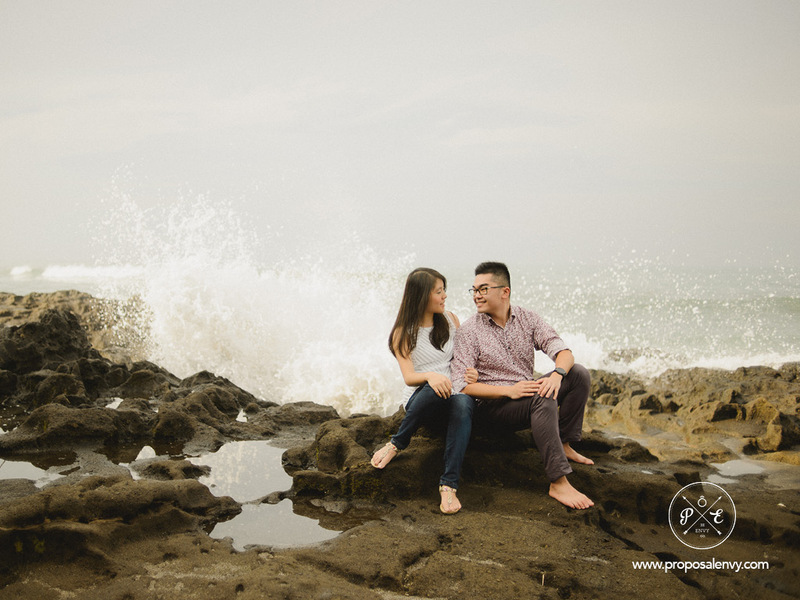 After one year of long distance relationship, Clifton thought that it’s time to take a leap of faith and move forward. 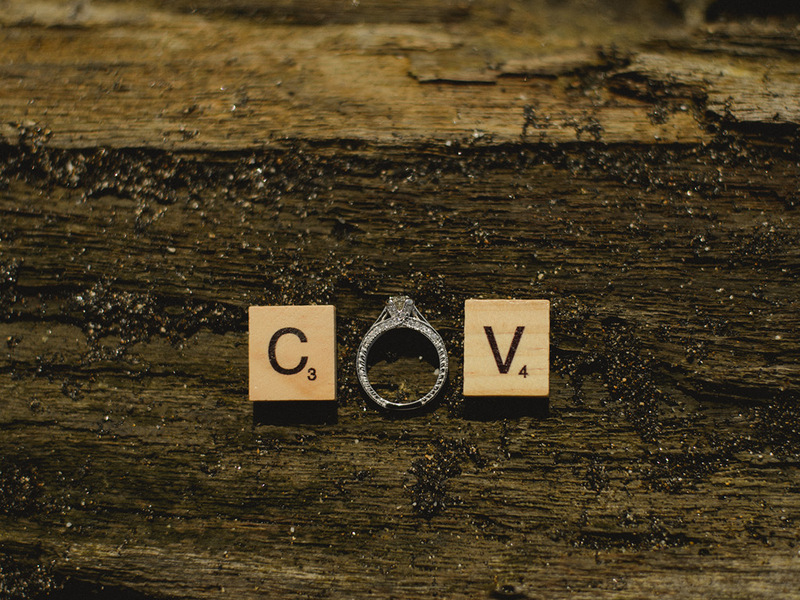 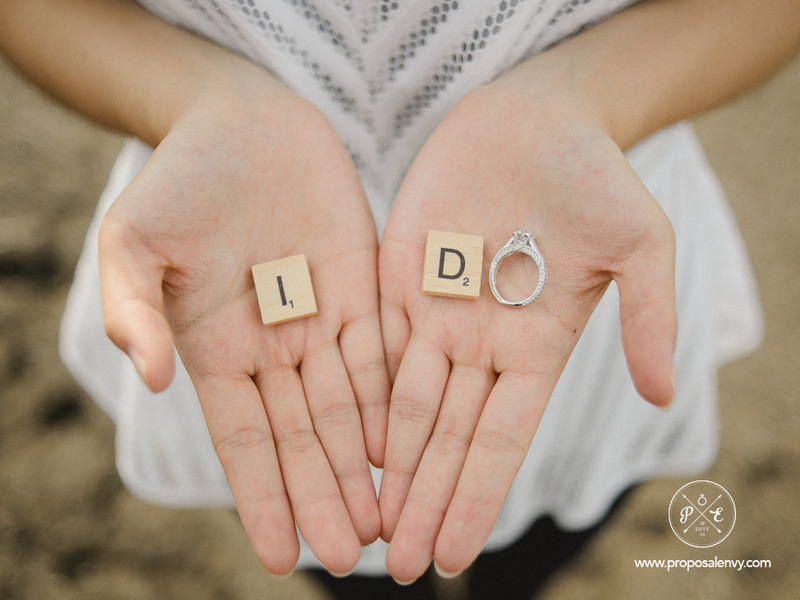 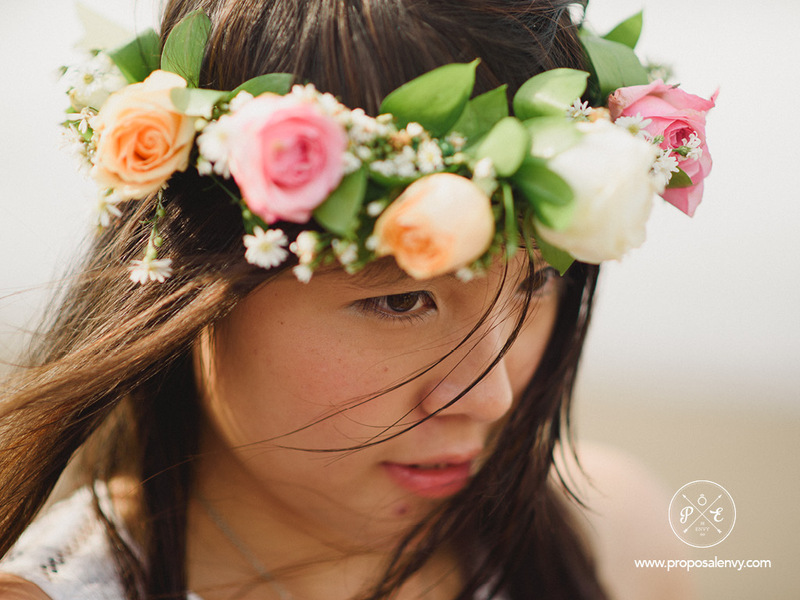 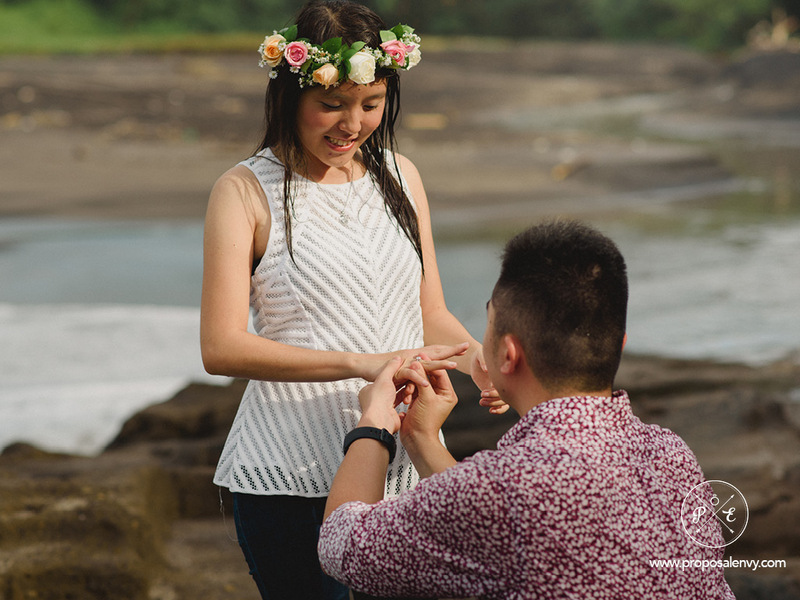 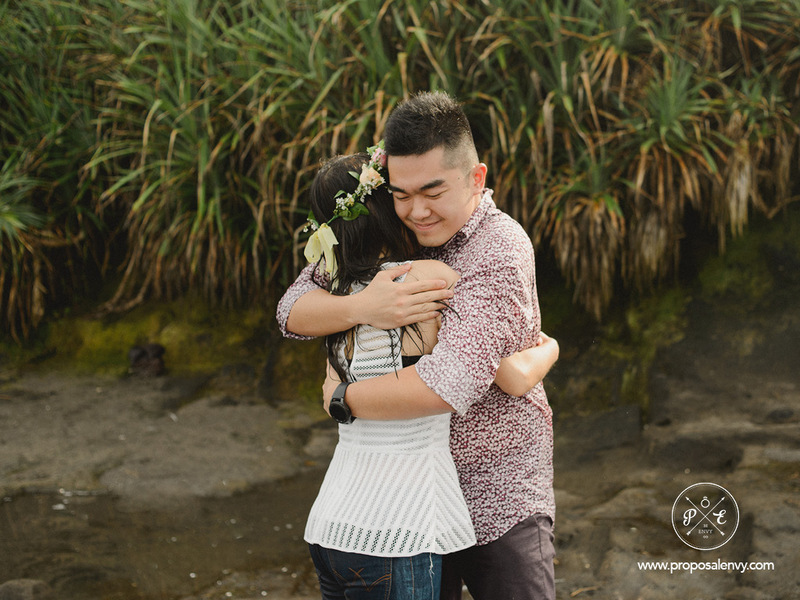 Together with proposalenvy, we created a simple yet romantic sunrise proposal at a secluded beach in Bali. 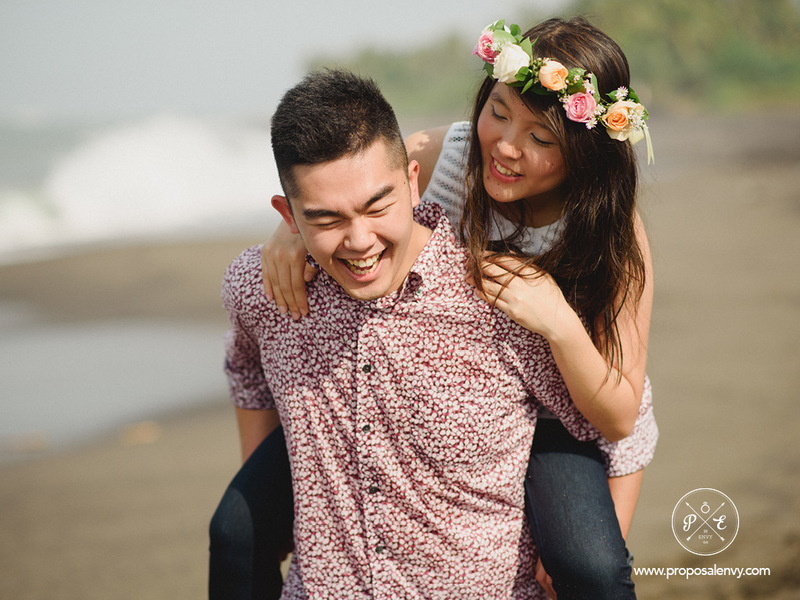 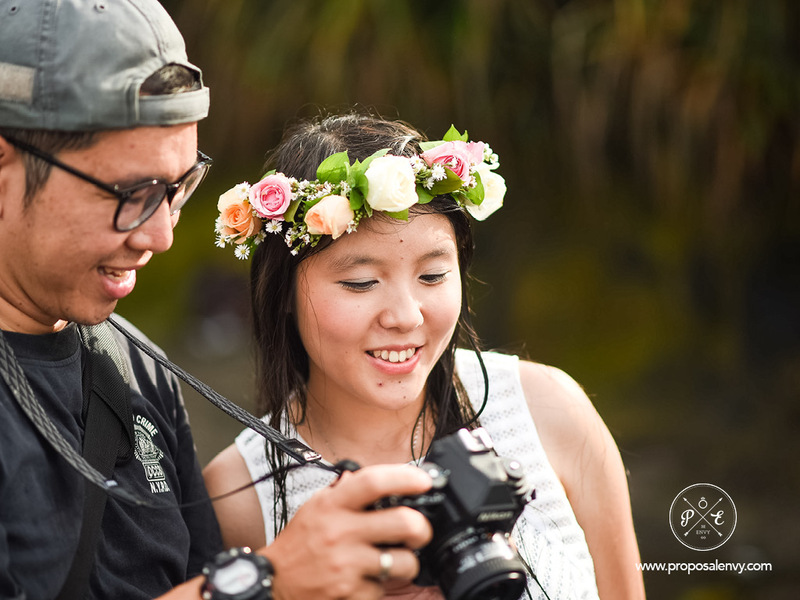 The plan was to tell vania that they’re going to do a fun and simple photoshoot while they’re here in Bali, but little did she know we had a big surprise waiting for her. 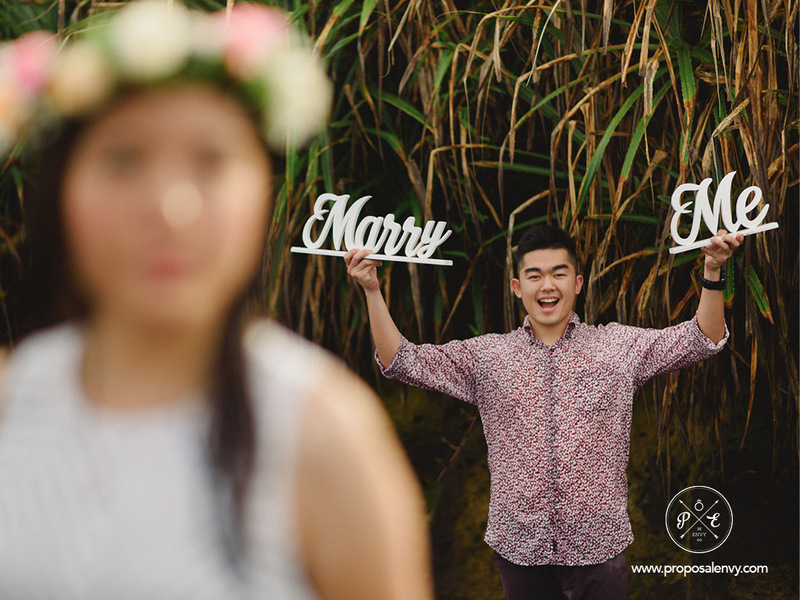 During the photoshoot, Clifton will be standing behind Vania holding a sign and as soon as the photographer takes the shot, he will immediately shows Vania the shot he had just taken. 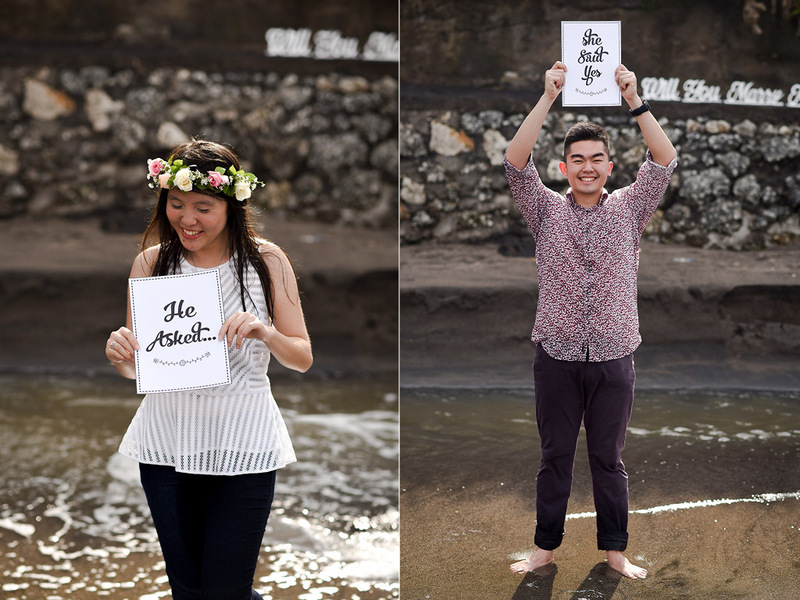 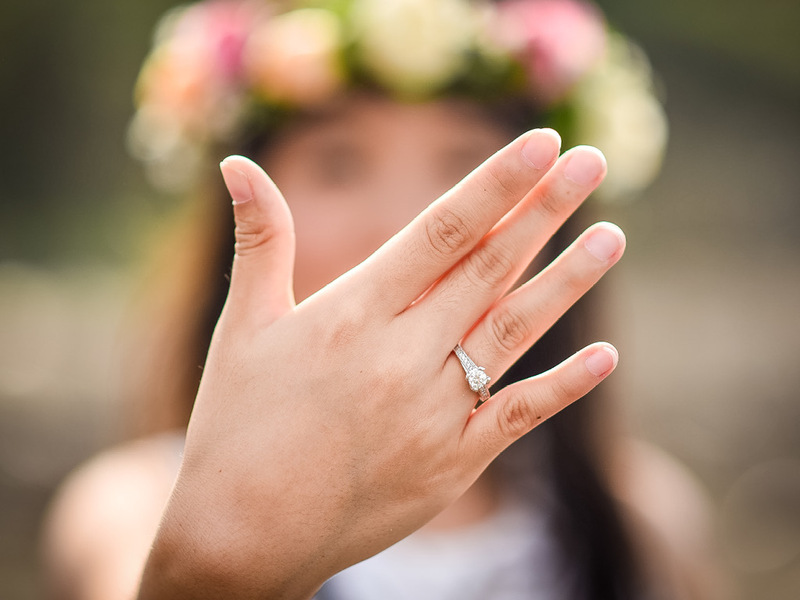 Scroll down to see what Vania saw and how clifton got down on one knee and proposed.